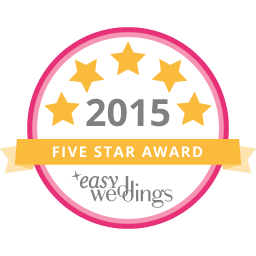 An elegant gents button made to match our Georgia bridal package, but suitable for a large variety of other designs. 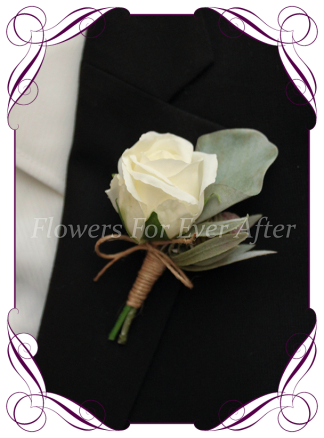 Featuring a single ivory rose bud with gum seeds on gum foliage. 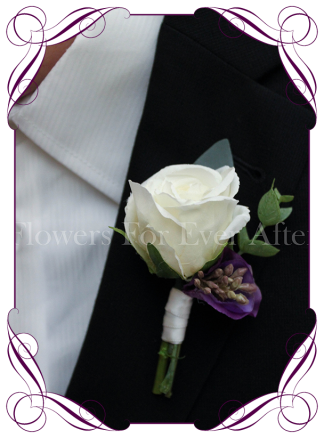 The stem is partially wrapped in bridal white (ivory) satin to complete the design. 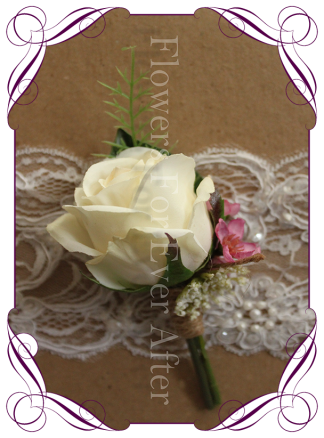 Other pieces that match this design in separate listings include grooms button, bridal bouquet and bridesmaids bouquet.